Among the other brilliant games that we’re presenting at Gamescom this week, Green Man Gaming is proud to present: The Black Death. A title that we’re currently selling in Early-Access! The Black Death takes place in the dark, dank, world of Mercia. Times are grim, supplies are scarce, a sickness hangs over the land and you: humble person, must try your best to survive. 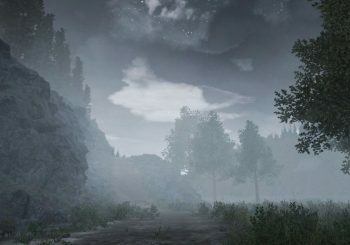 The Black Death is a large Multiplayer Survival game. This means that you can team up with your friends for a good, old-fashioned PVP experience, or go against the odds and take things PVE! There is a open world to explore, which is dotted with castles, ports and even the occasional plague victim. 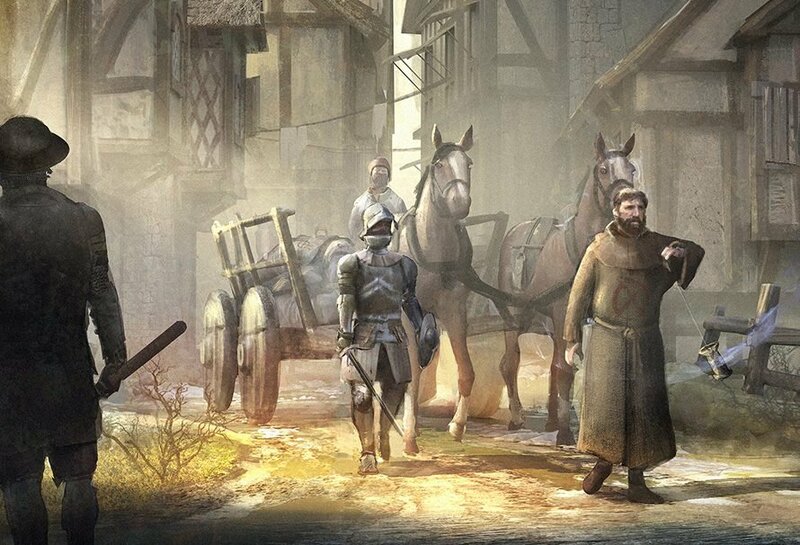 Become a gallant knight and protect the weak, make a somewhat honest living as a merchant, forge the peoples’ steel as the town blacksmith or even steal from their houses as a lowly beggar. The Black Death allows you to carve out your own story in this plague infested land, because with whoever you choose; it’s entirely up to you what you do with them. You could choose to be a beggar, but maybe you’re a kind beggar who only steals rotting food? Or an evil knight who murders half of the people he’s sworn to protect? Stray too far from the moral path however, and you may end up with a bounty on your head and a knife in between your shoulder blades! The stronger you become, and the richer you become: the better your chances of survival in this gritty open world are. But even the strongest player must always keep your wits about them, as there are other humans among the NPCs out there, and you really don’t want to get murdered. If you’re at Gamescom this week, come and check the Black Death out! You can purchase The Black Death here on Green Man Gaming! Get all the details about what else we’ll be up to at Gamescom 2016 here. Previous article Gamescom 2016: The show has begun!